Vizify is a registered trademark. Copyright 2014. All rights reserved. We've been acquired by Yahoo! We started Vizify in 2011 with the vision of transforming the information that we all consume and create every day into something more beautiful and personal. We were awed and grateful to see this vision taken up by so many of you as you built and shared our graphical bios, infographic cards, and videos. Since last summer, we’ve been engaged in a conversation with some of the incredible folks at Yahoo about the ways this more visual approach to data can inspire and entertain. As our conversations progressed, we realized we’d found a partner who shared our passion for user experience, design, and visualizing information. Ultimately, we just couldn’t say no to the opportunity to bring our vision to the hundreds of millions of people who use Yahoo every day. As part of the transition to Yahoo, we will be sunsetting the Vizify service (read below for more detail). As for what’s next, we can’t talk specifics just yet, but we’re excited to bring a more visual approach to data at Yahoo. We have a lot more up our sleeves and can’t wait to get started. As part of our transition to Yahoo, we’ll no longer be allowing new signups or purchases of paid plans. For Premium customers who registered a domain through Vizify (like your-name.com), we’ll be providing instructions so you can assume ownership of your domain, free of charge. For all bioholders, free and paid, we’ll be providing a way for you to opt-in to “archive” a snapshot of your current bio that will remain live at the same URL through September 4, 2014. Existing users will receive an email with more details in the coming weeks, or see our FAQ. To our families, who encouraged us to make the leap and rode the startup emotional roller coaster with us. To our investors, especially our lead investor and Chairman, Jonathan Sposato, who believed in us and dreamed with us. To TechStars and the Portland Seed Fund, for helping us refine our vision, and for plugging us in to such amazing communities of entrepreneurs. To all of the other advisors, adopters, enthusiasts and well-wishers for the excellent adventure. For those who opt-in to archive a snapshot of their bio, the Terms of Service will continue to apply until September 4, 2014. For those who do not opt-in, the Terms of Service will continue to apply until April 7, 2014. In both cases, the Terms of Service will terminate and all licenses granted to you will be revoked on the specified date. So Vizify is getting bought by Yahoo? Tell me more. See our announcement. Can I sign up for a new Vizify account? No. As of March 5, 2014, Vizify will not be accepting new users. I already have a Vizify Bio. Will people still be able to see it? Yes – for now. Expect an email from us in the next two weeks which will contain instructions on how you can opt-in to “archive” your Vizify bio as it currently exists. If you choose to opt-in, your Vizify bio will remain available for others to see until September 4, 2014. If you don’t choose to opt-in to archive your bio by April 7, 2014, it will cease to be active shortly after this deadline. What's an archived bio? You can think of it as a “snapshot” of your current bio – one that’s frozen in time. Once you opt-in to archiving your bio, it will continue to live and be viewable at the same URL it always has. What will change is that: a) you won’t be able to log in and edit it or make any other revisions after you’ve archived it and b) it will no longer update going forwards. 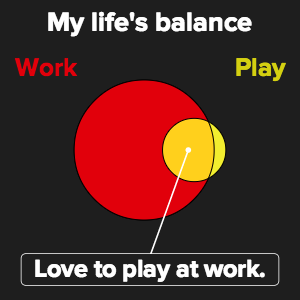 If I archive my Vizify Bio, will I be able to make changes later? You should make all of the changes to your bio that you want before archiving your bio. Once your bio is archived, if you make additional changes, you'll need to archive your bio again. Otherwise your changes won't be live after April 7, 2014. What’s the last day that I can archive my bio? You have until April 7, 2014 to opt-in to archive your bio. If you haven’t chosen to opt-in by then, your Vizify bio will disappear from the internet. Tears will be shed. 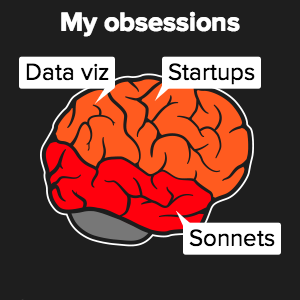 How do I archive my Vizify Bio? We’re still working on this feature. We’ll email you archiving instructions in the coming weeks. What pages will be included in my archived bio? Your archived bio will contain all the pages it currently has with one exception – if you have a 2012 Year on Twitter page, it will not be part of your archived bio. I don’t have a Vizify Bio, but I do have a Twitter Video/Connections Visualization/Cards Page. Can I still archive my site? Yes and no. If you upgrade your site to a Vizify bio by going to the Settings menu and clicking Upgrade, you can then choose to archive your bio. What Terms of Service apply to me? If you opt-in to archive your bio, the Terms of Service will continue to apply until September 4, 2014. If you do not opt-in to archive your bio, the Terms of Service will continue to apply until April 7, 2014. After these dates, the Terms of Service will automatically terminate and all licenses granted to you will be revoked (Yep, a lawyer made us say that). I have a paid plan. Do I get a refund? Yes! If you have an active paid plan, you’ll get a refund for the full amount you’ve spent on Vizify. And yes – that’s the full amount – not just your current month or a pro-rated amount, but every dollar you’ve spent on Vizify. Refunds will be placed back on the credit card you used to pay for the service in the next few weeks. Do I need to do anything to get my refund? Assuming your credit card hasn’t changed, then no, you won’t need to do anything. Refunds will be issued in the next few weeks, so you should see your refund appear on your credit card statement shortly thereafter. What if my credit card has expired or changed? Please email us at premium@vizify.com. 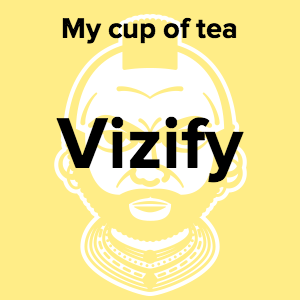 I picked my own domain name (my-name.com) through Vizify. What happens to it? We’re going to hand off ownership of your domain. In the coming weeks, we’ll be emailing you instructions for how to transfer ownership of the domain from us to you. Will the custom domain of my site (my-name.com) continue to work after I archive my site? Yes. If you had a Premium account and set up a custom domain (my-name.com) AND you opt-in to archive your bio, it will continue to operate as it does now until September 4, 2014. Will my embedded bio continue to work? Yes. If you currently have an embedded bio, it will continue to work throughout the archive period if you opt-in to archive your bio. Can I download or export my Vizify Bio or data? No. Vizify was all about making you look awesome by visualizing the data you posted on other sites and services, and that data will continue to live on those other sites and services. And remember that if you opt-in to archive your site, your Vizify Bio will remain up throughout the archive period. Will I continue to get email updates from Vizify about activity in my social networks? No, we will no longer be sending out activity updates. Will Yahoo use my data? Yahoo will not use any Vizify user data except for purposes directly related to Vizify bios and services. Vizify turns your social media data into interactive infographics, videos, and more. Because getting accelerated just once felt way to slow, Vizify participated in both TechStars Seattle Fall 2011 class, and Portland Seed Fund's first class. Visualization maven. Creator of nomenclature. Globetrotter. Dave built the majority of the visualizations on the site. For demo day, the team launched this experimental visualization tool for Twitter accounts, which over 17,000 people tried in just under a week. Many of the concepts explored in TweetSheet reappeared as part of Vizify's graphical bios. A tiny space above a coffee shop in Northeast Portland. We'd show you photos, but there wasn't enough room to take any. Vizify raised $1.4 million from a group of investors including Jonathan Sposato, Matt Shobe, and Tim Draper. Designer. Artist. Ruby Feather. Ryan designed the bio overview page, and some really nice buttons. We moved out of our tiny first office above a coffee shop to a (relatively) sprawling office downtown, above a men's underwear boutique, and adjacent to a food cart pod. Good times. After several iterations, we hit on a winner. Beta testers wept with joy. High-fives occurred in office hallways. Then we all got to work finalizing everything for our big launch. Vizify launched as an invite-only service, garnering press from TechCrunch, Engadget, Lifehacker, and others. 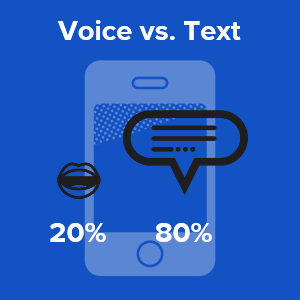 We'd consistently heard from our users that they wanted more ways to share their bios. So, hot on the heels of the launch we rolled out Vizify email signatures, which allowed users to embed a mini version of their overview page in their email signature. Our launch underscored the importance of having a great mobile experience along with the desktop version. Once the initial flurry of signups and press grew a little calmer, we took the opportunity to go back and optimize bios for mobile. We partnered with Twitter at year’s end to launch a showcase of each user's tweets from 2012. Featured on Good Morning America, we saw a jump of over 250x our normal signup rate. Our bite-sized infographics cards platform allowed users to quickly and easily create simple infographics and share them on their social networks. We extended our cards platform with rich HTML5 animation and multimedia capabilties and used it to create our first video experience, aptly named "Twitter Video." The tool animated a user's tweets, followers, and other data; it proved even more popular than Year on Twitter. Customer service. Badass QA. Not a baseball player. Andrew kept our users happy. We reorganized our overview page layout into a steady grid in order to open up some design possibilities around custom layouts and bubble emphasis. This change was accompanied by a refresh of our bio chrome that added some sleekness and improved usability. We launched our paid plans with features like custom domains, embedding, advanced analytics, and new page types. This rollout continued into the new year with the addition of our Plus plan. We ended the year with a bang, with December being our strongest month ever. In addition to adding nearly 100,000 new accounts, we had more than a million visitors to Vizify bios, videos, and cards. March 5, 2014 – Yahoo acquires Vizify!